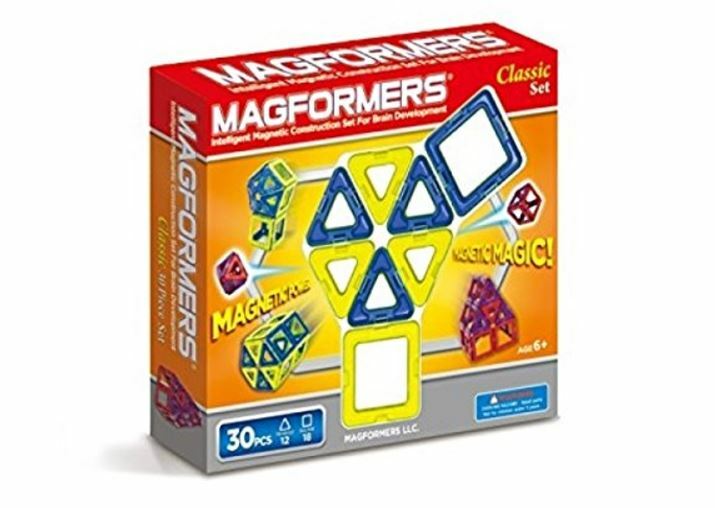 Hurry over to get this Magformers Classic Set (30-pieces) for $28.77 (Retail $49.99). -30 pieces total: 12 triangles and 18 squares. -Squares and triangles in classic color combination assortment of red/purple or yellow/blue. -Packaging may vary. Item is tested and approved for ages 6+. -Classic color combinations of red/purple and yellow/blue makes structures uniformed in color and appeals to any age group.